Lagoon 620 is an innovative solution to the needs of today’s cruising yachtsman : Strength, comfort, performance and large choice of layouts. The 2012 version of the 620, with interiors designed by Nauta, makes her an even more luxurious and comfortable yacht. Whether in its 4, 5 or 6 cabin version, the 620 is now offered with new Ambiances created by Nauta for the “large” Lagoons: complete interior layout packages elegantly incorporating wood finish, upholstery, inner liners, and more… Truly, a great choice for luxury catamaran cruise in Greece. 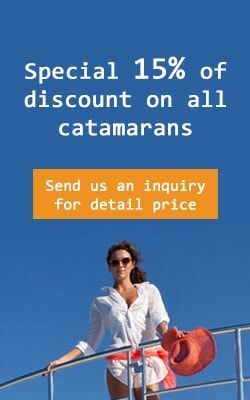 Charter catamaran Lagoon 620 for rent in Greece and let us catapult you away for an unforgettable charter journey along the Greece islands from Athens, Lavrion, Mykonos, Lefkada but soon from all bases in Greece. 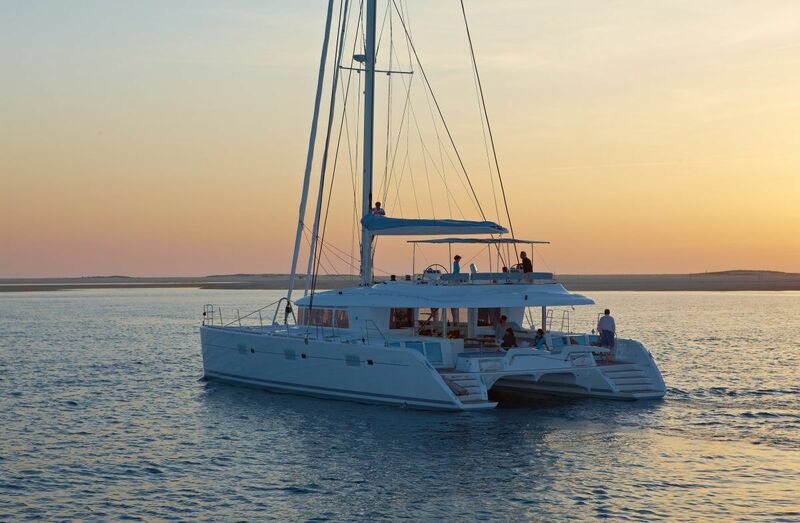 Available for catamaran Crewed with our professional crew this all new sailing yacht can be rented for one way charters to and from Athens to Mykonos or Santorini as well as other famous islands subject to availability. Send us an Inquiry right now to secure top prime dates avoiding disappointment later or availability risks. VPLP design: performance under sail guaranteed! Fly bridge or upper deck?